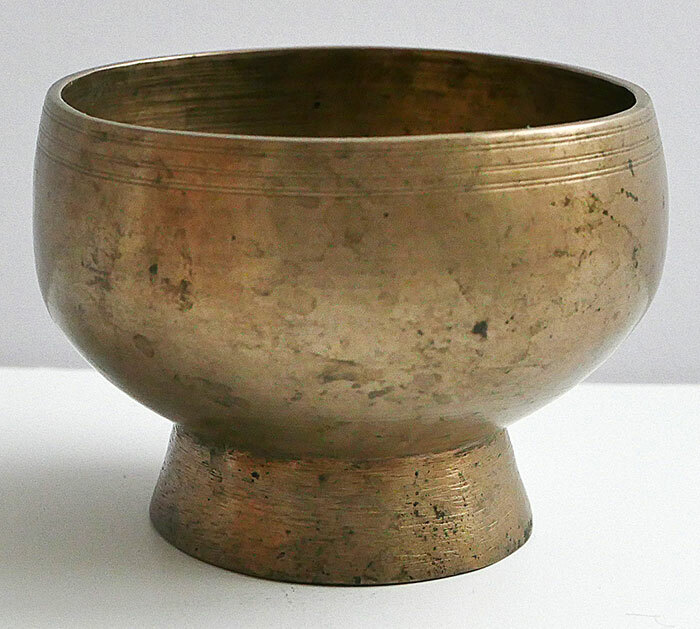 This small antique Naga Singing and Healing Bowl has a fifth octave C# (550Hz) fundamental when struck and a sixth octave F# (1442Hz) when played around the rim. Both notes are very nice. It’s a responsive little bowl and easy to play. It is well forged and in excellent structural condition. A ringer is included in the price. Note: Audio clips coming soon.